Connect mind and body, and the positive transformations are limitless. A yoga practice creates healthy relationships within our physical body and also with the outside world. The practice creeps off the mat into our conversations, our actions, our decisions, our relationships. Yoga will remind you of who to be, how to act, and what you inspire. On the mat, you learn to move. We lengthen muscles and strengthen joints and get comfortable with our bodies. We flex and fold, hold and breathe. And by consciously placing the body in these different poses, we are able to develop proprioception. Next we begin to feel the poses. When the body is alignment, engaging different energy centers, we are able to experience emotions and sensations as we begin to tune into a subtle (energetic) body awareness. The practice establishes a strong mind-body connection, which ultimately allows us to think with more ease and awareness—be it on, or off, the mat. Off the mat is big, beautiful world. For most of us, yoga starts with the poses—the asanas. Yet yoga is so much more, a practice so powerful, yet so subtle, that it’s often hard to articulate how we learn about life from a rubber rectangle. But we do. When we move our body around in space, to the tune of a yoga practice, we learn things. We learn awareness. We learn patience. We learn motivation. We learn kindness and respect—yes to others, but also to ourselves and our joints and bones and muscles. We learn freedom and love. We learn acceptance. We learn willpower—which comes in the forms of do more and also do less. I believe that yoga finds us in different ways. Yoga teachers — like myself — often ask: What brought you to the mat? Stress brought me to the mat. Wanting to touch his toes brought that guy to his mat. Back pain brought my mom to the mat. A broken heart brought one student to her mat. Curiosity brought my best friend to hers. The list is endless… depression, weight management, escape, challenge, ambition, community. What gets you there is hardly my concern. What happens when you get there is. Convincing my grandmother to buy me a yoga book, Yoga Mind & Body, because I wanted to learn how to do a headstand. A winter dedicated to teaching myself that one pose in our living room. "Janna, please stop with all the banging." I can still hear my mother. I didn't return to yoga until college, a hatha yoga class to fulfill a phys. ed. credit, tested my patience and found every crevice of my inflexibility. I did not like yoga. The first regular yoga practice, during graduate school at NYU. I had abs and arms to tone, so hot and sweaty, pray-for-a-window-to-crack-open Bikram Yoga it was. A couple years later, during my Harper's Bazaar years, I fell in love with the lunchtime classes offered at the Hearst Tower. Yoga was healing past pain and calming reservations of a future. It was so much more than physical. It was the much-needed balance to a 20-something life in New York City. I left my job and my career in magazines to write my first book and become a yoga teacher. I wanted to help others feel the positive things that I was feeling. My course was set in place. 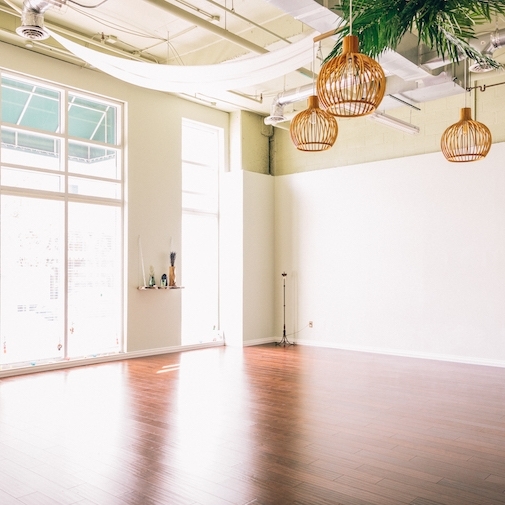 I moved to Brooklyn and found my first teaching home with Mala Yoga NYC. 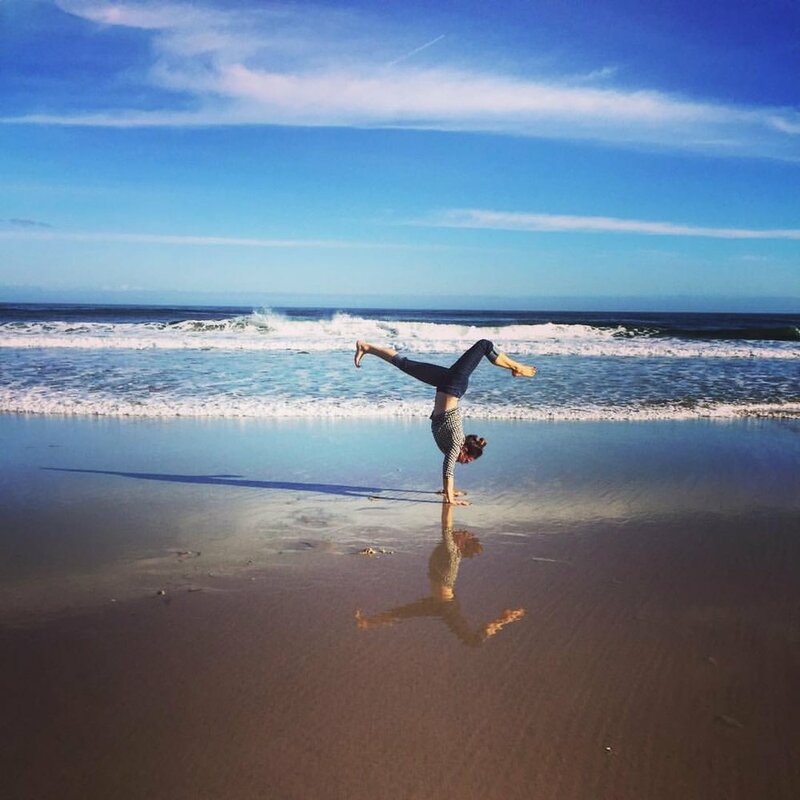 I studied the benefits of yoga for brain injury and PTSD, and Mala offered me a few regular teaching slots and a monthly spot on their blog. Oscillations was born, a blog about yoga and brain injury, a blog about practicing with my dad. The practice was helping us both. "Pittsburgh." I had just taken a yoga class with my best friend from college, all the while contemplating where to move after living in NYC for so long. I had been traveling back to Western Pennsylvania to practice yoga with my dad, and it made nothing but perfect sense to move back home - almost home. I would live my last year in NYC having great fun with great people. During the Fall of 2013 I settled into a new life in Pittsburgh. 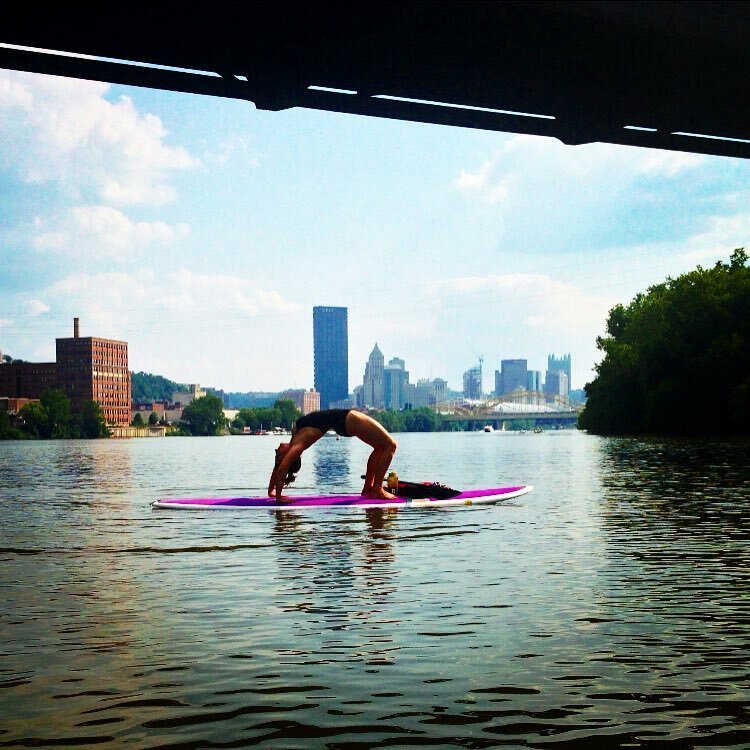 I spent my days traversing the bridges and tunnels of Pittsburgh to teach dozens of yoga classes and meet all kinds of new people. I had been teaching all over the city for two years - studios, gyms, private lessons, and a weekly class at a brain injury rehab center. I was falling into love with all things in Pittsburgh. I had brunch with my husband and two friends from Lululemon. Over eggs and mimosas the dream of Inhale Pittsburgh emerged. On Earth day of 2016, I opened my own yoga studio. Inhale Pittsburgh sits in the heart of city, near the shores of the Allegheny. It's where I can share my love of this practice, my NYC yoga roots, and, and the amazing team of unique and knowledge teachers with the world. The story of my yoga begins with a headstand. Take class, or schedule a private session with me if you're in Pittsburgh. Interested in a private yoga session? Whether you are looking to begin a yoga practice, want to go deeper and learn more with a one-on-one, or are recovering from an injury, you might be interested in setting up a private session where we can focus on what you want to gain from a yoga practice. Please share a little bit about yourself and what you are looking for by emailing me. We can either schedule your private session in home or at one of the studios, based on availability.